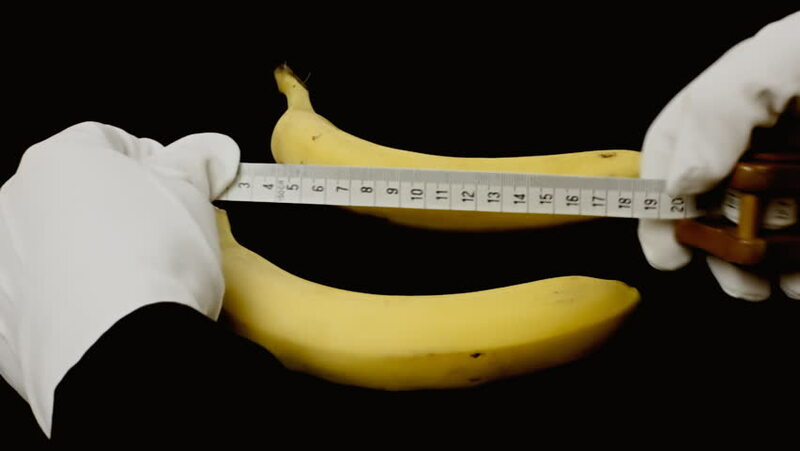 Measuring ripe yellow bananas with a tailor's tape measure. Visual metaphor: checking the size of human anatomical parts. 4k00:29Bananas rotating on a black background.